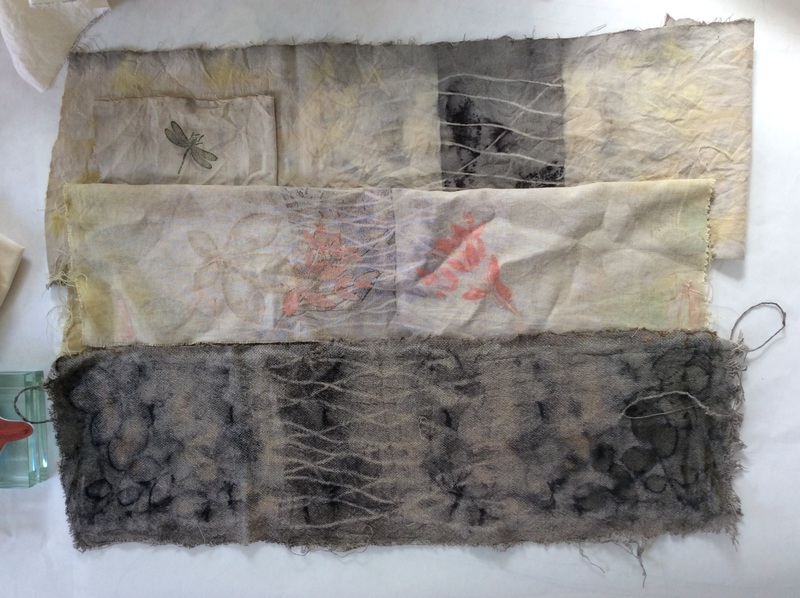 After attending the Eco Dyeing workshop at Artvango I came home all fired up and eager to start my own experiments with plants and dyeing. 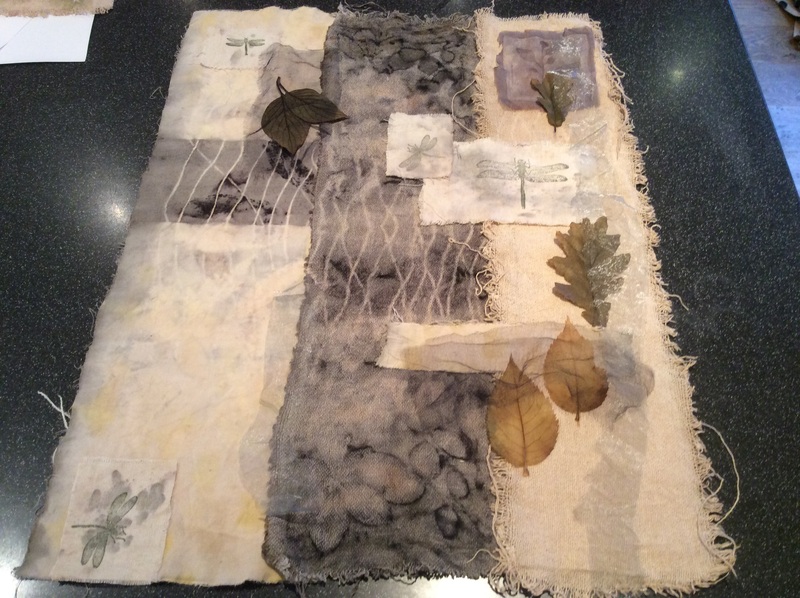 My first attempt wasn’t a huge success but I did manage to make a few marks and dye some fabric which I then incorporated in a quilt for the Cranwell Contemporary Textiles challenge “Flora & Fauna”. In this challenge we had to include “stamping and printing” so Eco printing was the obvious choice combined with some really nice dragon fly stamps from Papermania which I have had for ages but hardly used. 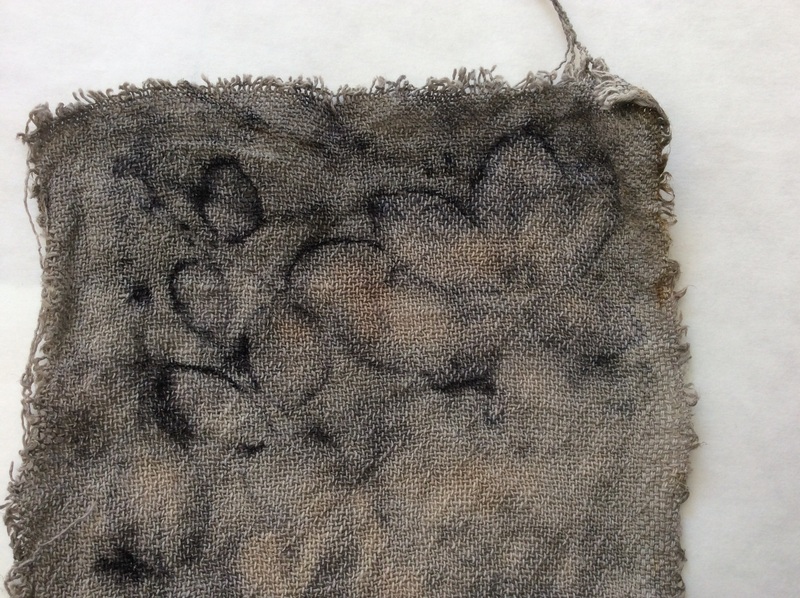 The fabric on the left of the photo was covered with eucalyptus leaves, tiny ferns and onion skins before being wrapped around a copper pipe and boiled. When I turned off the heat I added a tiny pinch of ferrous sulphate and left it to cool. The fabric on the right turned out very grey (very, very grey!) after being tied around a large rusty drill bit before boiling. The leaves included a vine of some sort which grows over from my neighbours garden and some miniature rose leaves. Although the colour was a lot darker than I had envisaged at least some of the leaves can be seen. I decided to combine these two fabrics with one of those I dyed at Artvango and these would form the background for the quilt. I played around with the layout adding stamped Papermania dragonflies and a selection of leaves which I had dried and preserved with glyserine. I preserved a whole load of these leaves two years ago for an Autumnal workshop I did with adults with special needs. They were so beautiful I couldn’t bare to throw them away and this seemed like the ideal opportunity to use some of them. In keeping with the “natural” theme of this quilt it didn’t feel right to use my machine so I decided to do all the stitching by hand. 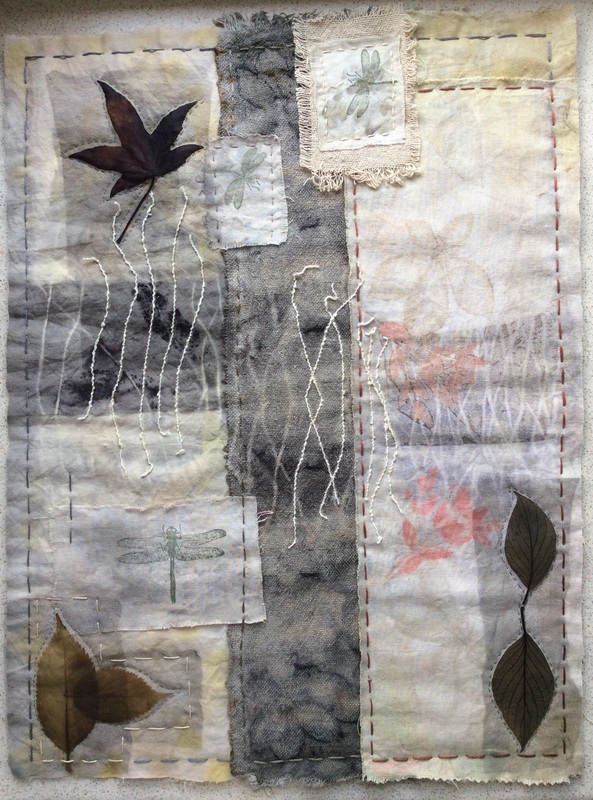 This is the finished Flora & Fauna quilt, complete with frayed edges and wonky stitching. 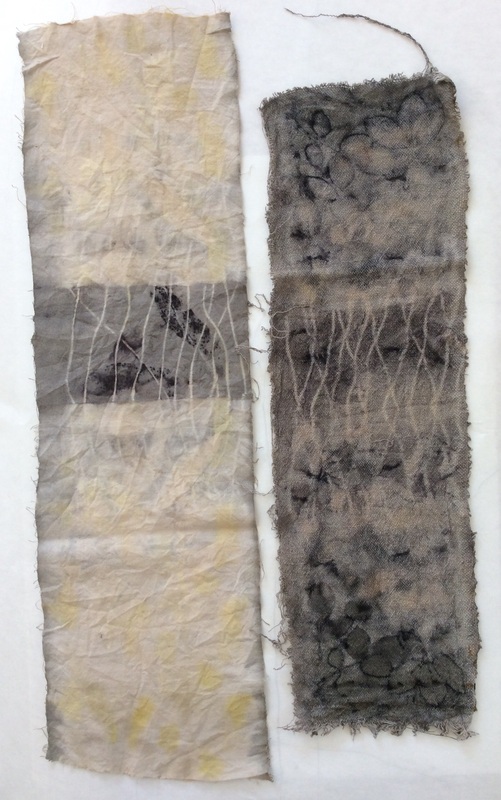 ← Eco Dyeing at Artvango….. Thanks Ruth, it was quite nice to do something a bit rustic and not get hung up on getting it exact.